What would a synthetic theory of Digital, Media and Information Literacy (DMIL) look like? 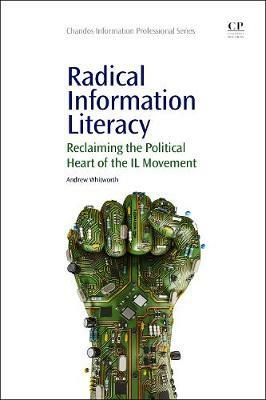 Radical Information Literacy presents, for the first time, a theory of DMIL that synthesises the diversity of perspectives and positions on DMIL, both in the classroom and the workplace, and within the informal learning processes of society. This title is based on original analysis of how decisions are made about the relevance of information and the other resources used in learning, showing how society has privileged objective approaches (used in rule-based decision making) to the detriment of subjective and intersubjective perspectives which promote individual and community contexts. The book goes on to analyse the academic and popular DMIL literature, showing how the field may have been, consciously or unwittingly, complicit in the `objectification' of learning and the disempowerment of individuals and communities. Alternative ways of conceiving the subject are then presented, towards a reversal of these trends.